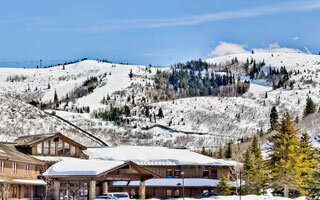 Powder Run condominiums are located one block from Snow Park Lodge at the base of Deer Valley Resort, and on the free Park City Transit route. Typically, these condominiums feature underground parking, a fully equipped kitchen, private outdoor hot tub on the deck, washer and dryer, fireplace and complimentary wireless Internet. These are the closest accommodations to Snow Park Lodge that are not ski-in/ski-out. The Signature Collection's complimentary in-town transportation, provided by Cadillac, is offered during the ski season as well as the skier shuttle to and from Snow Park Lodge.